Littledata believes that happiness and productivity go hand-in-hand, but what does that look like in practice? 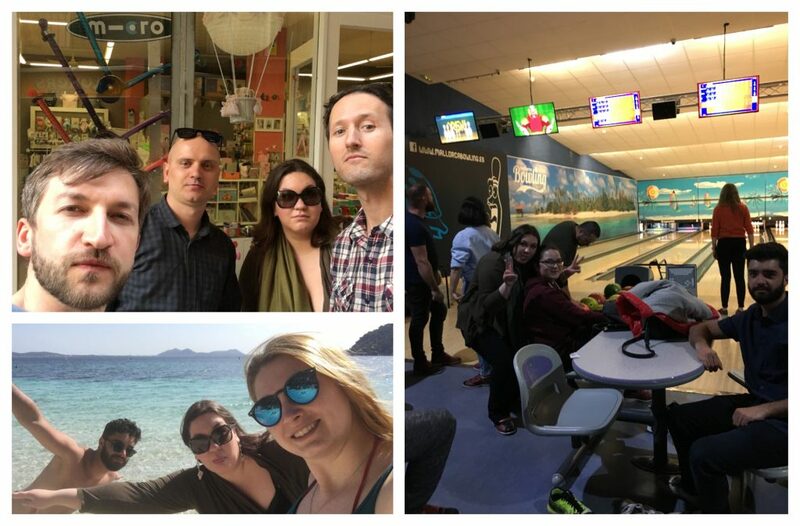 In this post I’ll share a bit about our workplace culture and most recent design sprint, from the perspective of me, our newest team member! I joined Littledata two months ago, and it’s already been an amazing journey. I was working as a marketing specialist at a Romanian company when a friend pinged me about the opportunity to work at Littledata. I was not looking for a job at the time but I was impressed about the innovative app they had created, so I knew I had to meet them. But no worries there, as Littledata saw potential in my good attitude, proactive work ethic and willingness to learn. After some additional interviews and a test project, they gave me a chance and created a new position for me as a marketing assistant. This was a clear sign of an open-minded work culture that invests in its employees and focuses as much on potential as on experience. In short, I accepted the job and joined the European team. It was one of the best professional decisions I’ve ever made. Since I joined Littledata I’ve learned more in two months than in an entire year at other companies. My colleagues and supervisor took time and patience to teach me and guide me through skills that otherwise I couldn’t have learned by myself. Littledata is a data company – and Google Analytics isn’t easy stuff – but since we’re dedicated to making analytics as painless and as useful as possible to our customers, it’s an exciting and exhilarating place to work. There are new challenges and great successes every single day in the office. Besides the best mentorship I am receiving, my peers proved to be very fun and sociable. It’s a place where we do work as a TEAM, helping and supporting each other. The only competition we have is from our competitors. Moreover, the perks I got with the job with remote-working hours and annual offsites in a different countries, easily trump the perks of working at big corporations. I discovered that the fast evolution of Littledata is due to its employees. Littledata’s senior staff believes that true innovation comes from happy employees. (Want to see the data? There is statistical evidence that happiness and a positive workplace culture drive both productivity and profit.) By focusing on building a strong internal bond, offering excellent benefits and driving diversity, Littledata created a one-of-a-kind workplace environment. Things weren’t always easy tough. They’ve had their share of challenges. See how Littledata went through the challenges of developing a Shopify integration. As Littledata grew, the team expanded worldwide. Our offices are located in New York City, London and Cluj-Napoca (Romania), and we have employees and consultants in over 8 different cities. Here in Cluj, the workspace was recently renovated and each room is personalised after each employee’s personal mark. In this way, we all feel comfortable and productive at our workspace. Many times we don’t even use our office desks, preferring to work intently on our sofas and bean bag chairs, or outside in the hammocks. We might have a remote work culture, but we stay constantly connected. Our communication strategy includes Skype for official meetings and Google products (Calendar, Drive, etc) and Slack for fast chatting, collaborating and updating. To keep track of our projects we use Trello cards, where we split the team into different boards, depending on their department. We found that it’s the best way to connect all our team and not get lost in a messaging abyss despite the different time zones. In order to bring clarity in our roadmap and kickstart new features, we embrace the Design Sprint philosophy. 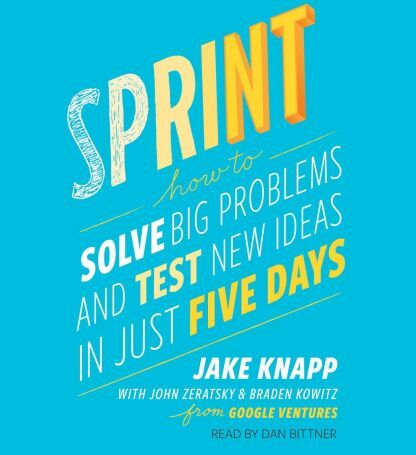 A design sprint is a five-phase framework that helps answer business questions through a fast-paced prototyping and user testing. Basically, we pick a time and a place where we all gather up every three months and do some Sprint-Planning focused on a specific goal. The process helps to spark innovation and align team members under a shared vision. Through this hyper-focus, we can build better features and launch them faster. 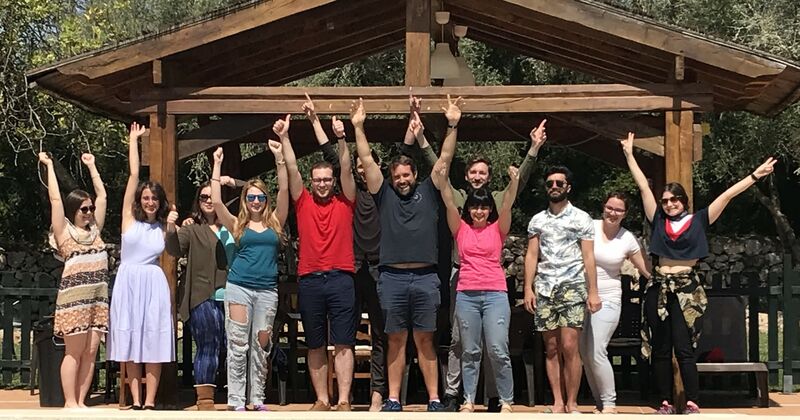 I recently joined a Design Sprint that took place in a beautiful villa on the island of Mallorca. In the first day I assisted at a short introduction from our organizer, followed-up by the schedule presentation of our 5 day sprint-design and reviews from my colleagues regarding the last Sprint. Afterwards, we separated into two groups, the product team and the marketing team. I joined the marketing team, and for the next 5 days we worked on new ways to promote Littledata by answering the needs and the common questions our customers have. After we all agreed on the most important topics to cover we split up into three teams of two people each. One team managed a new promotional video, the other took on the app’s features process and the last one worked on a customer onboarding process. I was in the app’s features team – check them out: Littledata’s features. The product team came up with a way to increase engagement in our Shopify app and started to develop an exciting new feature that we’ll be launching next quarter! On the 4th day the product team and the marketing team reunited, presented their work and ideas, and voted on each other’s ideas. The last working day was the prototype day where both teams tested their prototypes with real customers. This was an essential part of the Sprint and definitely worth doing if you’re thinking of running a Design Sprint yourself! The Sprint-Planning was also a great way for catching up with each other and spend quality time with all the team members. Our leisure time was spent in Spain, traveling and engaging in fun activities. Work hard, play hard! We even spotted one of our customer’s products, Micro-scooters, in a shop window Palma’s old city! In my opinion, one of the biggest perks of working at Littledata is the remote-working hours. A flexible and personalized work schedule gives the employees the opportunity to balance work and personal life very efficiently. Besides, the company offers the benefit of working from home when needed. We can work from a coffee shop, a HubSpot, a park or wherever we feel like it. You can work from anywhere … just make sure to have a good internet connection. Healthcare is also assured. No need to worry about this topic, because for employees in Romania, Littledata grants personal health insurance through our Groupama collaborators. Wellness is also supported by weekly fruit baskets, tea, coffee and other yummy snacks. Integrating all of these pieces together we create a comfy and positive environment for our employees. Our growing team is opened in hiring new staff members who bring value and personality into Littledata. A strong professional background helpful, but a drive to learn is just as important – get involved and be proactive, we encourage learning in all of our activities. We look for people that are passionate, ambitious and always want to challenge themselves. Another criteria that we are fond of is respect. Our company has a strong policy in respecting its employees. As we are very diverse in culture, we coordinate to celebrate each person’s holiday and major life event. And last but not least, we are fun folks. Be serious in your work but have a positive and cheerful attitude. And guess what? We are hiring! We have big plans building some awesome products. So come join us, either as an employee or as a collaborator, to create new features using the latest analytics technology. We’d love to hear your opinion – what do you think a great workplace looks like? Leave a comment below and subscribe to our newsletter for the latest in everything analytics. With 4 years experience in B2B & B2C marketing, a creative mind and a fine passion for quality, Ioana endorses herself as a business-oriented millennial. Soft-skills and copywriting are her strongest suits. She has a thirst for learning new things, believes in respect, hard-work and commitment.